When Audrey Casella arrives for an unplanned stay at the grand Hotel Ruby, she’s grateful for the detour. Just months after their mother’s death, Audrey and her brother, Daniel, are on their way to live with their grandmother, dumped on the doorstep of a DNA matched stranger because their father is drowning in his grief. Audrey and her family only plan to stay the night, but life in the Ruby can be intoxicating, extending their stay as it provides endless distractions, including handsome guest Elias Lange, who sends Audrey’s pulse racing. However, the hotel proves to be as strange as it is beautiful. Nightly fancy affairs in the ballroom are invitation only, and Audrey seems to be the one guest who doesn’t have an invite. Instead, she joins the hotel staff on the rooftop, catching whispers about the hotel’s dark past. Amid the silence, Audrey Casella remembers her mother. After her mother passed mere months ago, Audrey and older brother Daniel were emotionally abandoned by their father, a man unable to come to terms with his despair and have arranged for both Audrey and Daniel to live with their estranged grandmother. Weary travellers, Audrey and her family check into the Hotel Ruby, an opulent hotel offering the illusion of contentment and indulgence. For just one night, Audrey wants to forget. Truth is, Dad stopped seeing us. he looks through us like he can't bear our resemblance to our mother. Like we're invisible. Daniel and I have lost both our parents, even though one is sitting next to me now. The Ruby is breathtaking. The lavish invitational grand ballroom soiree, her gilded and ornate suites and the dashing Elias Lange who has captured Audrey's curiosity. Her glamour and prestige, the essence of the Ruby is exuberance, indulgence and passion that mask the mystery of the grand old hotel and Audrey is determined to discover her secrets. 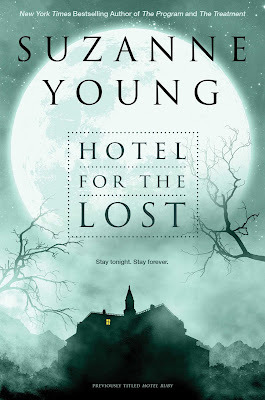 Hotel For The Lost is haunting and peculiarly entertaining, a concoction of mystery and paranormal with the opulence of a charming historical fiction novel. The hotel was magnificent, the protagonist, not so much. Audrey's destructive behaviour after her mother's passing sees Audrey and Daniel being taken in by their estranged grandmother, their father not able to care for his children and since the death of his wife months prior. Audrey and Daniel continue to emotionally support one another, their own grief internalised while their father continues to withdraw from society. Audrey was incredibly judgemental of others, her honesty was often disrespectful and not as charming which may have been seemingly intended. Weary, Audrey's father decides to reserve three rooms at the grand Hotel Ruby, continuing with their journey once the sun rises. The Hotel Ruby was vividly imagined, beautifully breathtaking and indulgent, her colourful patrons a blend of wealthy elites or travellers resting before their final destinations. The hotel herself is a mystery, captivating my interest until the final page. Intoxicating for both patrons and readers alike. The secondary characters and hotel personnel were cursory but incredibly charismatic and engaging, breathing life into the old establishment. Elias was absolutely lovely, a boyish rogue and philanderer who's family once owned the Ruby. Although Audrey had only recently ended a long term relationship with a young man she disregarded, she now finds herself attracted to Elias, a handsome distraction for the night. The romance didn't appeal to me unfortunately. I enjoyed the passion and attraction between Audrey and Elias but Audrey conceding she was falling in love after only a few moments together felt insincere. She was generally more concerned with Elias and gallivanting around the Hotel Ruby, than the absence of emotional responses from her Daniel and her father, besides her hallucinations. 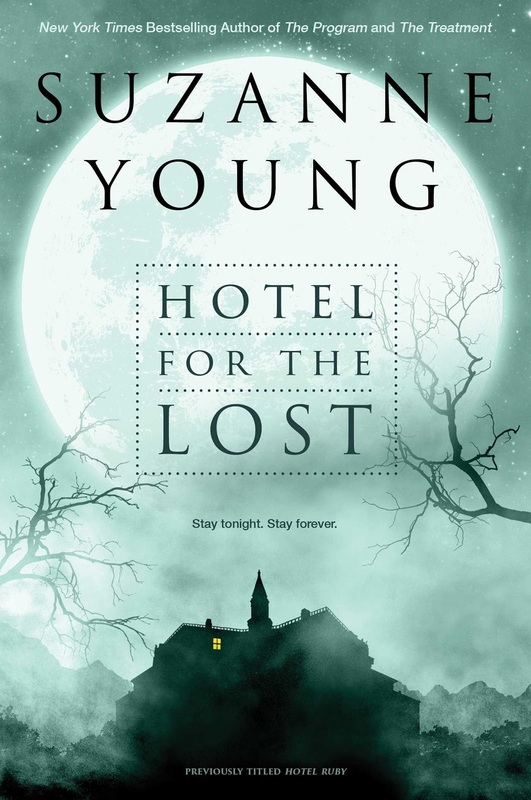 Nevertheless, Hotel For The Lost was engaging, entertaining and unexpected, holding me captive until the final page. This is so interesting, it seems like the book definitely had its mix of good and bad parts. Having a book set in a hotel makes for great mysteries! The hotel itself was brilliant Mawa! My main issue was Audrey and the romance, but not so that it impacted my enjoyment. A great little read indeed! did you say hallucinations? it does get curious. It's quite strange, she believes she's seeing hallucinations... But is she. Curiouser and curiouser! Sounds like an interesting read... not a fan of anything paranormalish, but love a tale with secrets! Me too! I love a book that can surprise you and I was surprised that it managed to do that. Terrible pun. I'll shame myself now. Glad to hear you liked this one! I really prefer this title/cover than the U.S. one. Me too Lauren. I wonder why the name change though? Both work really well but I prefer this cover, it compliments the creepiness of the storyline. I was actually pleasantly surprised Lily. Audrey is unlikable but the book itself is a great little read. I enjoyed it despite the romance. Hmmmm I've had hit or miss experiences with Young but I want to give this a try anyway. I have a feeling I won't love it but it's worth a shot. I quite liked her The Program series, but only read the first two. There's just too many novellas and extras that are all the lose ends from book two that probably should have been included. This was wonderfully entertaining, but a quick read so perfect for a lazy afternoon. This does sound super, DUPA haunting! I have to try this one out! <3 I'm glad all of the secondary characters were easy to relate to and actually interesting, well, that they had something to do with the story, because you know how you have some books where secondary characters are just..."fillers" so to speak? The secondary characters are what made this unique and enjoyable really. It's a entertaining read and quite enjoyed it despite those few issues I had with it. It is! I'm not entirely sure why the name change, I'm thinking rebranding might have brought a new interested audience in to read it perhaps? If you're looking for a quick, entertaining read, give it a go because it might really surprise you. I like this new cover more than the previous, it’s haunting and beautiful. I didn’t pick up this book after some mixed reviews. Wonderful review, Kelly! You definitely made me rethink my decision.